John Robert (Jack) Craig, a key figure for many years in Halifax’s arts community, passed away on October 11th. 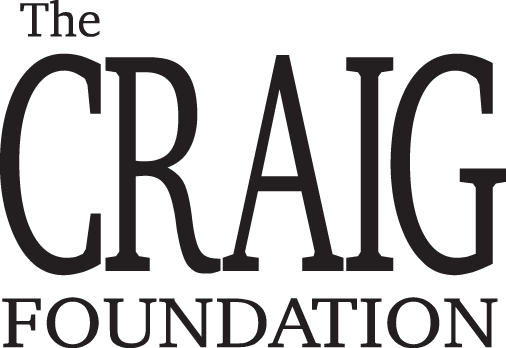 Along with his wife Joan, Jack Craig formed the Craig Foundation to support the visual and performing arts. He also served on the boards of the Art Gallery of Nova Scotia and Neptune Theatre, and put time and money into countless arts activities throughout the province. Jack and Joan Craig also endowed a chair at Dalhousie University for research into Autism. For my part, I remember Jack Craig as the firm, quiet, wonderful and almost quite average father of one of my childhood friends, his son Michael. I met Jack again years later at a Board meeting of the Atlantic Film Festival (he had been invited to join) when I was making a presentation on the upcoming year’s programming aims and objectives. Jack was gentlemanly, and genuinely interested in what was going on at the Film Festival. I asked how Michael was doing and Jack said he was doing fine. Sadly, the agenda of the meeting, held in the evening at the National Film Board on Spring Garden Road, precluded much more social chatting, as there was a long list of items to go over. By then the Craigs had gone on to a have almost a legendary status in the arts community of Halifax. I knew countless artists, actors and writers who received a grant from their foundation; it seemed I reviewed numerous theatre productions for the Daily News that listed the Craigs as benefactors. Jack Craig was without question a very successful businessman. I knew him better as a father and a family man, and also as a man who put a great deal back into his community, for which we all should be thankful. Halifax is, by far, a better place because of Jack and Joan Craig.